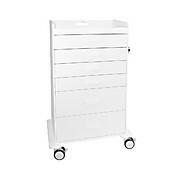 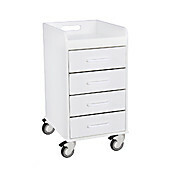 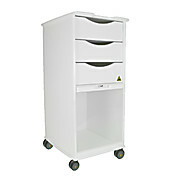 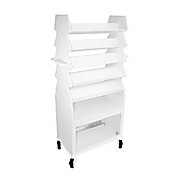 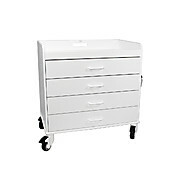 TrippNT's MRI Core EW Extra Wide Storage Cart provides three oversized drawers and an extra large 36 x 17 inch work surface. 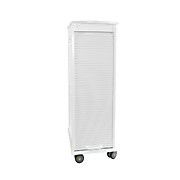 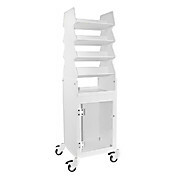 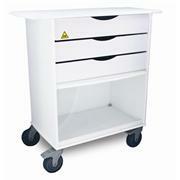 It features, 5 inch rubber, casters, a bulk storage area and a lockable sliding door. 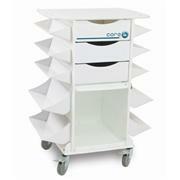 TrippNT's Bottle Carrier Cart has 17 angled compartments that store, organze and transport bottles in individual bins. 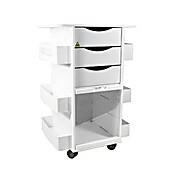 Made from resistant and durable ABS bottles stay separated for use. 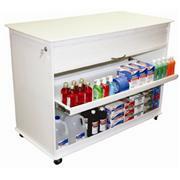 The convenient storage angle make it easy to see, stock and remove bottles or other items as needed. 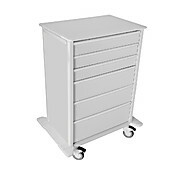 TrippNT's Cayman Lab Island Storage Cart is constructed from durable, half inch, resistant high density polyethylene and is designed for those who need a large amount of storage and work space many carts don't offer. 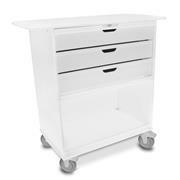 TrippNT's MRI Maui Lab Island 2 Foot Lab Cart is constructed from nonferrous, durable, resistant, high density polyethylene and is designed for those who need a large amount of storage and work space many carts don't offer. 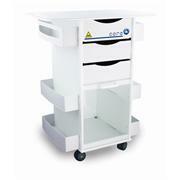 TrippNT's MRI Belize Lab Island 8 Foot Cart with Locking Roll Top Doors and Pull-Out Shelves is made from half inch high density polyethylene and is nonferrous to meet MRI Safe requirements of magnetic imaging labs. 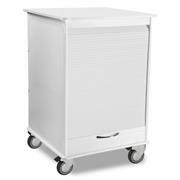 TrippNT's MRI Core DX Lab Cart with Extended 29 inch Top offers a MRI Safe, non-ferrous, large 29 x 17 inch work surface plus an efficient way to safely sort, store, organize, lock and transport a wide variety of supplies. 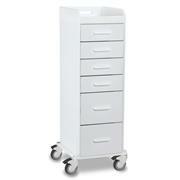 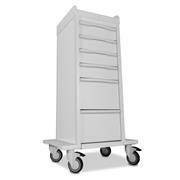 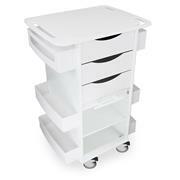 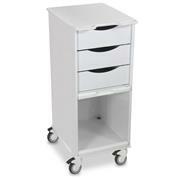 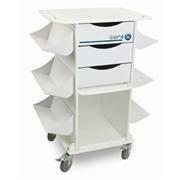 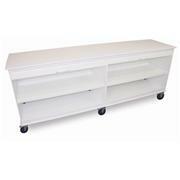 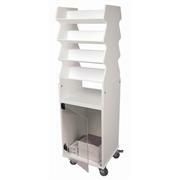 TrippNT's Core Clinical CL Cart with featured large Shelf/Bins can hold up to 150 pounds of supplies. 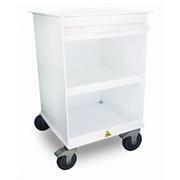 Its 6 large, versatile shelf/bin side containers hold bags of loose supplies or boxes neat and tidy. 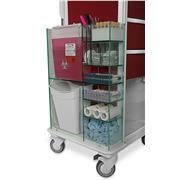 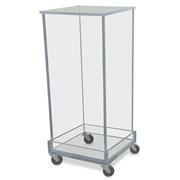 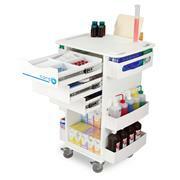 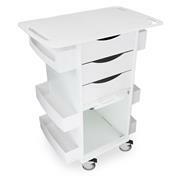 TrippNT's Core Clinical Cart with featured large Shelf/Bins can hold up to 150 pounds of supplies. 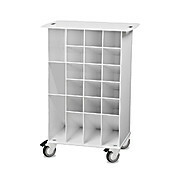 Its 4 large and 6 small versatile shelf/bin side containers hold bags of loose supplies or boxes neat and tidy. 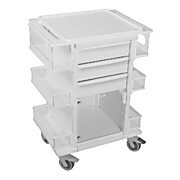 TrippNT's MRI Locking Roll Top Cart is constructed from nonferrous durable, half inch, resistant high density polyethylene and is designed for those who need a narrow, lockable cart with removable storage.